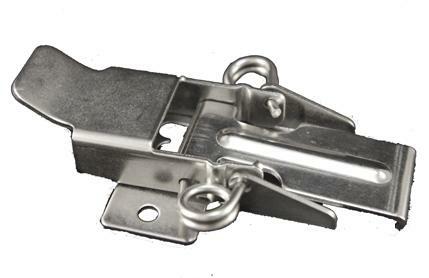 Request a quote for CA-1020 - Tension Draw Latch today. JBF National latches and catches are manufactured from the highest quality materials. They are designed and tested for ultimate reliability and durability. CA-1020 is manufactured from either clear zinc plated steel or passivated stainless steel. This model features an average ultimate load rating of 790 Lbs. for steel and 860 Lbs. for stainless steel. 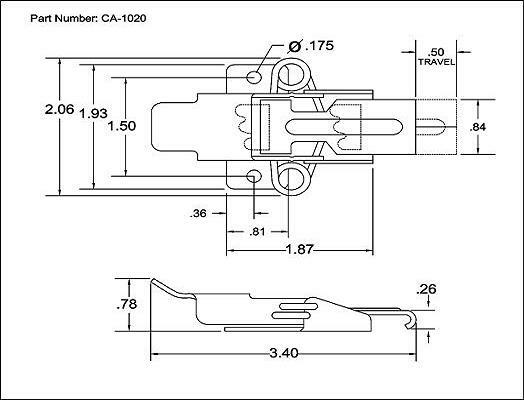 Uses strike SK-1010 Please see component diagram below.